The following recipe was shared at my Caribbean dinner event. You can read about it and get additional Caribbean recipes from the event HERE. In a skillet, brown sausage and drain grease. Stir in rice, onion, garlic and peppers. Cook 5 minutes. Stir in tomatoes, chicken broth, salt, pepper and cayenne pepper. Pour into 9×13 inch pan. 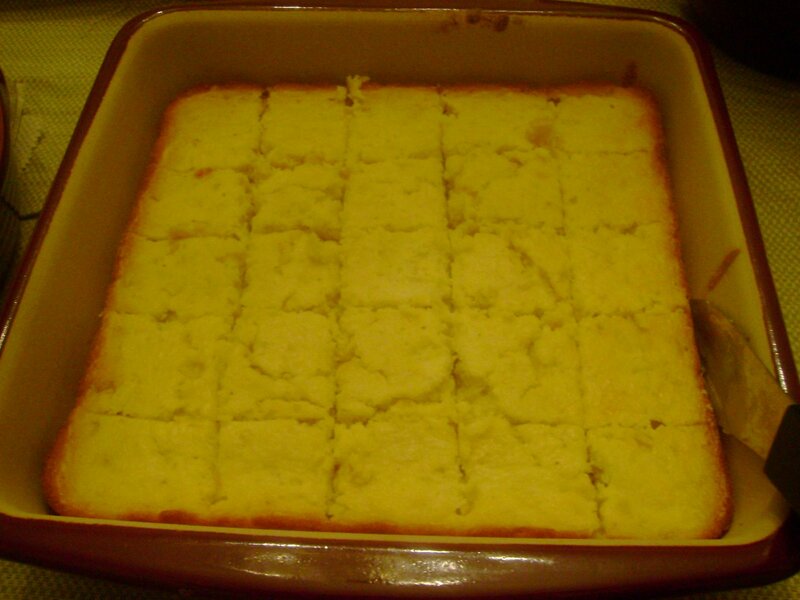 Bake for 1 hour or until rice is tender and most of the liquid is absorbed. Or, at this step, you can cover and freeze it. Tonight is focused on my Traditional fare menu and some desserts. Everything is set for the most part… and I approached it as if it were just one of my cooking class events where everything is prepped and ready to assemble. Here are recipes of the traditional Thanksgiving dishes on my menu. In a sauce pan, melt butter. Sautee sliced mushrooms in butter until softened. Sprinkle flour into pan and stir to form a roux. Slowly add the half & half until slightly thickened. Add green beans and 1/2 of french fried onions. Add salt & pepper to taste. Place in casserole dish and bake for 25 minutes. Add remaining french fried onions and bake again for another 5 minutes. 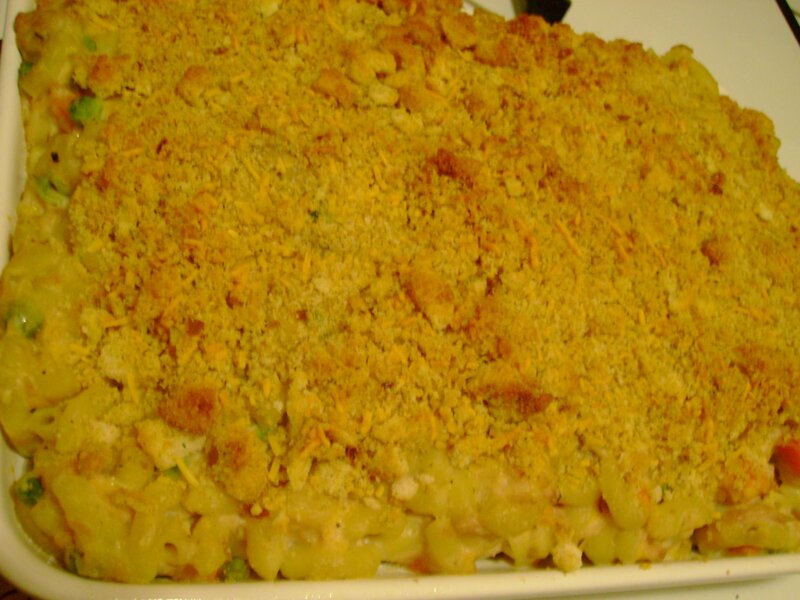 Place mashed sweet potatoes in a casserole dish. Top sweet potatoes with brown sugar, chopped pecans and dot with butter. Bake in preheated oven for 15 minutes. 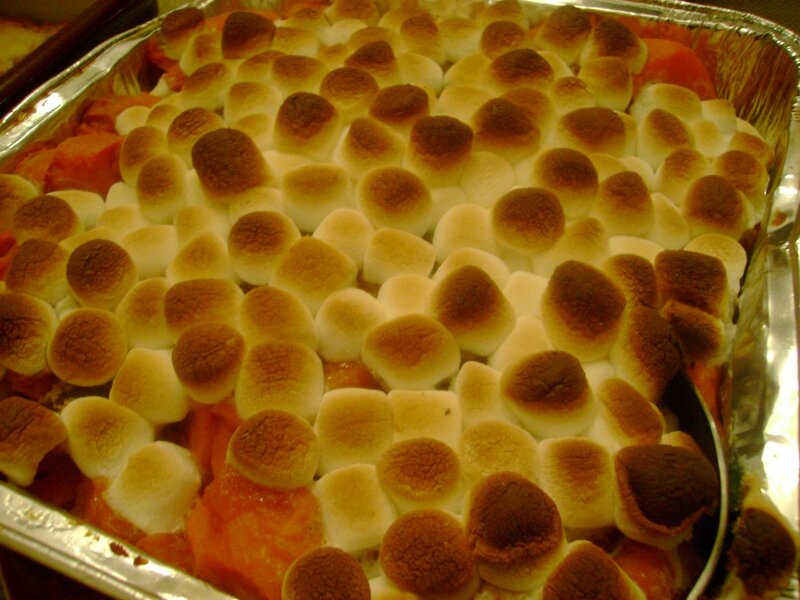 Remove from oven and top with marshmallows. Bake again for another 3-5 minutes until marshmallows a just about to melt. In a bowl, combine all ingredients. Bake in oven for 45 min. Sautee onion and garlic until softened. Add chicken, broccoli, cauliflower, cheese and rice. Place in casserole dish and top with crushed butter crackers. Bake in preheated oven for 1 hour. Well, in my efforts of using what I have in my pantry for the next month, I thought it would be fun to introduce tuna casserole to my hubby. He’s never had it and automatically, he conjured up a nasty mess on a plate. But alas, I showed him that tuna casserole is a good meal and doesn’t always have to involve a lot of canned goods to make. 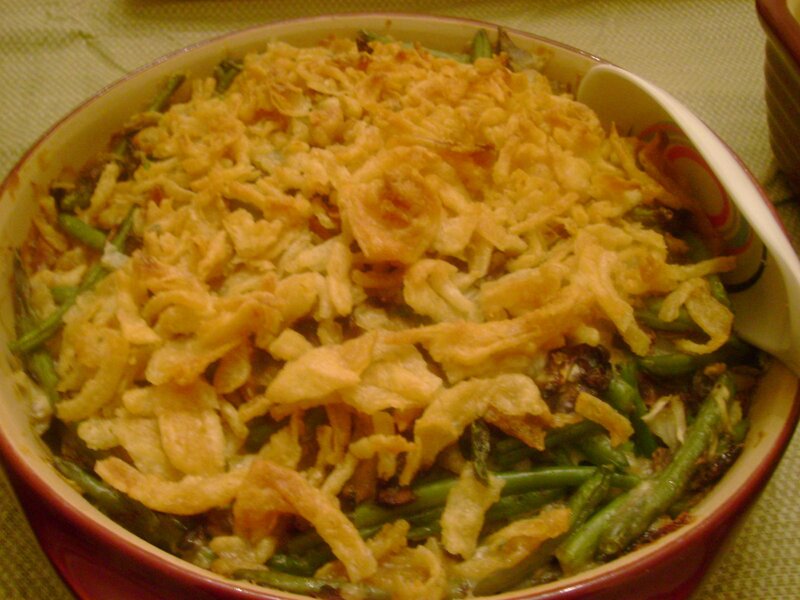 Casserole, as we Americans know it today, is an economical meal. Food historians confirm *modern* casseroles were known in the 19th century. 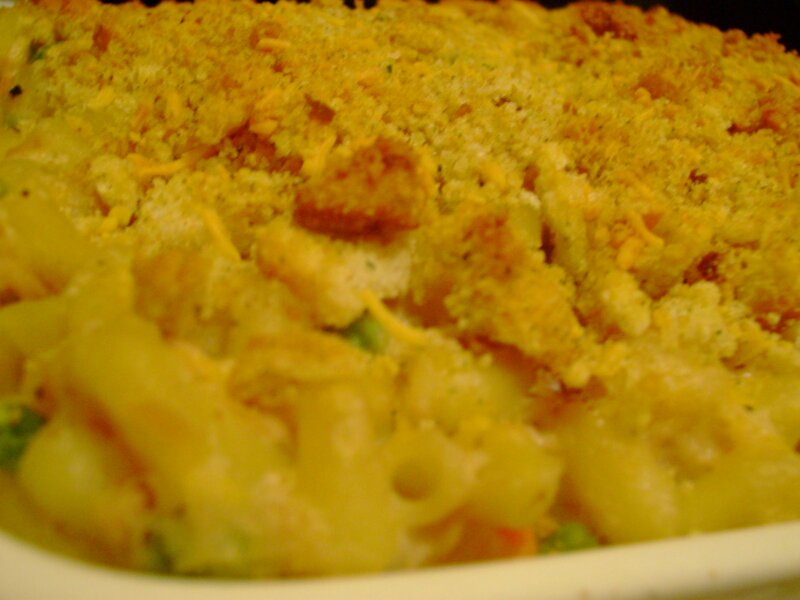 They became popular in the 1930s when the Great Depression forced cooks to seek economical solutions to family meals. This cooking genre was continued in the 1940s (economic reasons) and 1950s-1970s (convenience reasons). So when did tuna noodle casserole debut? Some food historians credit the Campbell Soup Company for setting the table. This company’s Cream of Mushroom Soup was actively promoted to American consumers in the 1930 as an quick and economical alternative to homemade sauces. Corporate advertisements, cooking brochures and cookbooks promoted casserole dishes. Tuna noodle casserole was among them. The company did not invent the recipe but it did, however, make it famous. 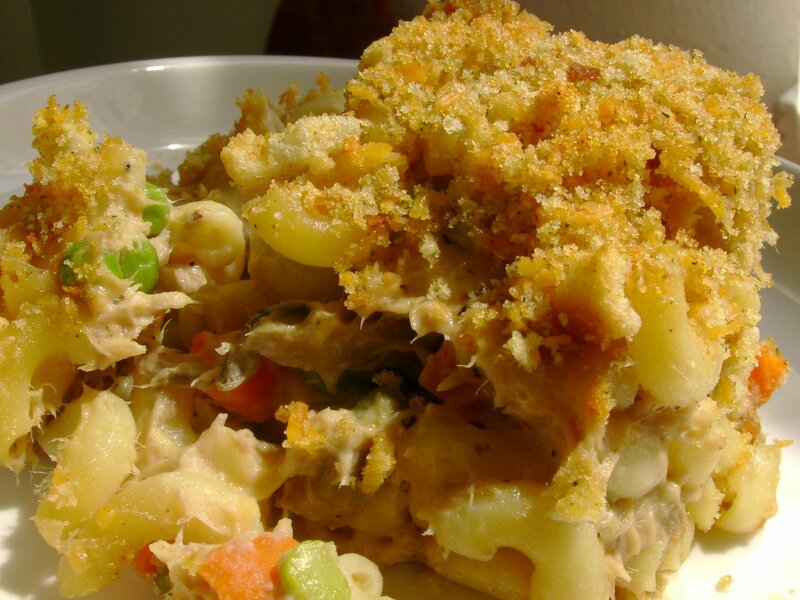 The oldest Tuna Noodle Casserole recipe on file was published by Campbell’s in 1941! In a large saucepan, melt butter. Add onions, garlic and mushroom & brown. Add flour & cook for 1-2 mins. Slowly add milk and stir. Add boullion cube & dissolve. Add peas/carrots, tuna, mayo & mustard. Stir in 1/2 of cheese. Place in greased casserole dish. 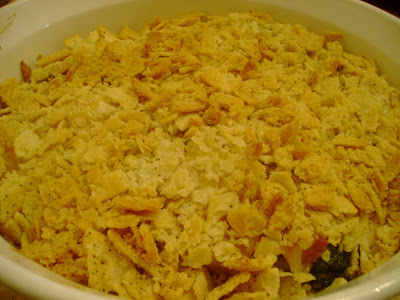 Top with crushed croutons and remaining cheese. Bake at 375 for 15-20 minutes.